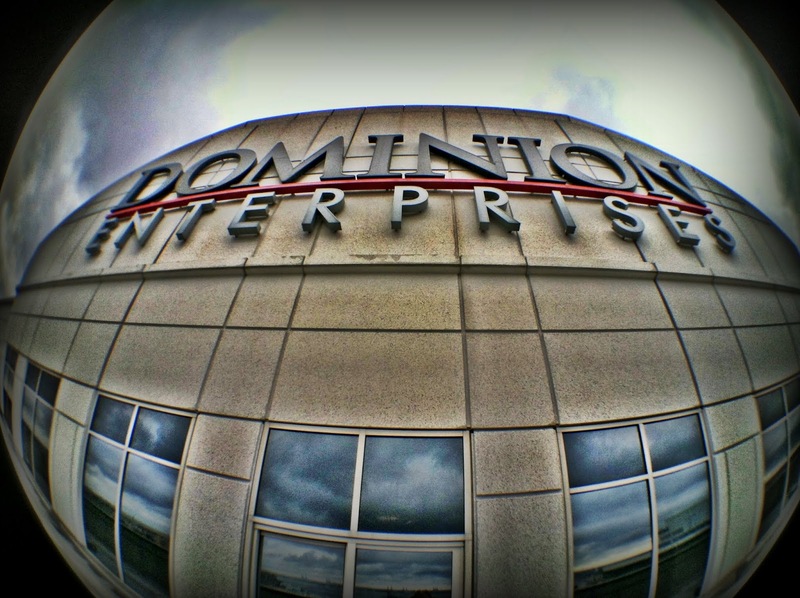 - Got to take a trip up to the 20th floor of Dominion Enterprises in Downtown Norfolk Virginia today. It was cold and windy out on the deck. The 20th floor says a lot about the company who reserved the best space in its office tower for employee training and education. While you are up there learning you can enjoy some of the best views of the Elizabeth River waterfront. iPhone 4, 1.469 sec @ f/2.8, ISO 80, Olloclip fisheye lens adapter. what a neat capture! I love how fisheye lenses bend all the physic rules (in a way they present things).